Mfr Part Number: E215546. Model Number: E215546. Model: E215546. Type: LCD Touchscreen Monitor. Screen Size: 19". Display Colors: 16.7 Million. COMPATIBILITY ISSUE. Depth: 2.0". Model Number: E060634. Model: E060634 / ET1915L-3CWA-1G. The monitor is factory sealed against dust, dirt, and liquid splashes. Series: 1915L. Elo quality at a low price point. Designed, built, serviced, and supported by Elo. Sunlight Readable up to 1500 nits. LED has a longer lifespan typically lasting over 100,000 hours (10X longer than CCFL Lamp). ================================================. 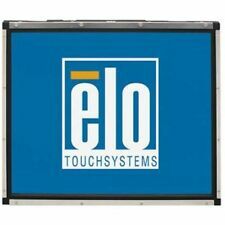 Elo TouchSystems E928771 1939L IntelliTouch 19" Open-Frame LCD Touchscreen !New! Part Number: E928771. Model Number: E928771. Alt Part Number(s): E928771. The only thing more impressive than the screen is the price! The 1939L has a streamlined profile and durable construction, making it the best bet for your touchscreen needs. Tired of keep replacing CCFL backlight lamp again, again and again?. Extending its life and improving its performance, ungraded to MoniServ's LED backlight kit seems to be an only option. This Refurbished 17" ET1939L-8CWA-3-G had upgraded to UB70 Series LED backlight. Tired of keep replacing CCFL backlight lamp again, again and again?. Extending its life and improving its performance, ungraded to MoniServ's LED backlight kit seems to be an only option. This Refurbished 17" ET1747L-8CWF-1-G had upgraded to UB70 Series LED backlight. Manufacturer: Elo TouchSystems. About: We are NES Sales, Northeast's industrial source. Notes: Does not include stand. Sold as-is, as pictured. It doesn't only produce a higher brightness and contrast, It is also made by precise precision color match. Defective CCFL backlight may has the following symptom Want to upgrade your CCFL screen to LED screen?. Model Number: E874209. Model: E874209 / ET1928L-7CWM-1-GY. The five-second power-down delay prevents accidental power shut down. Panel: Active Matrix, TFT LCD. Horizontal Refresh Rate: 31.5–80 kHz. Vertical Refresh Rate: 56.3–75 Hz. Tired of keep replacing CCFL backlight lamp again, again and again?. Extending its life and improving its performance, ungraded to MoniServ's LED backlight kit seems to be an only option. This Refurbished 15" ET1547L-8UWC-1 had upgraded to our Sunlight Readable UB Series LED backlight. Tired of keep replacing CCFL backlight lamp again, again and again?. Extending its life and improving its performance, ungraded to MoniServ's LED backlight kit seems to be an only option. This Refurbished 17" ET1739L-8CWA-3-G had upgraded to UB70 Series LED backlight. This Refurbished Elo touch 17" ET1725L-8UBWB-1 had upgraded to UB70 Series LED backlight. Sunlight Readable up to 1500 nits. Tired of keep replacing CCFL backlight lamp again, again and again?. Extending its life and improving its performance, ungraded to MoniServ's LED backlight kit seems to be an only option. We are otherwise not open to the public. This has been tested and it is in good working order. Sold as pictured. Unless otherwise stated, this has been tested for key functionality. Sunlight Readable up to 1200 nits. Tired of keep replacing CCFL backlight lamp again, again and again?. Extending its life and improving its performance, ungraded to MoniServ's LED backlight kit seems to be an only option. Defective backlight Inverter may has the following symptom. Tired of keep replacing CCFL backlight lamp again, again and again?. Extending its life and improving its performance, ungraded to MoniServ's LED backlight kit seems to be an only option. This Refurbished 19" ET1947L-8UWA-1 had upgraded to UB70 Series LED backlight. Elo Touch Solutions E945445 19" SXGA Open Frame LCD Touchscreen Monitor !New! Part Number: E945445. Model Number: E945445. Model: E945445 / E21556. The 1939L features a wide viewing angle panel along with a unique, injection-molded minibezel and virtually invisible watertight seal. Tired of keep replacing CCFL backlight lamp again, again and again?. Extending its life and improving its performance, ungraded to MoniServ's LED backlight kit seems to be an only option. This Refurbished 19" ET1938L-8CWA-3-D-NPB-G had upgraded to UB70 Series LED backlight. NEW WITH OUT ORIGINAL BOX. LOCATION: LSRS TR #1. Manufacturer: ELO. About: We are NES Sales, Northeast's industrial source. Model: SCN-IT-FLT15.0-001-001. Model: LE015002P03NB. Manufacturer: Elo TouchSystems. Part Number: N/A. About: We are NES Sales, Northeast's industrial source. Manufacturer: Elo. About: We are NES Sales, Northeast's industrial source. Model: SCN-IT-FLT15.0-007-004. Manufacturer: ELO. About: We are NES Sales, Northeast's industrial source. Notes: Does not include stand. Sold as-is, as pictured. Model: N/A. About: We are NES Sales, Northeast's industrial source. Notes: Does not include stand. Sold as-is, as pictured. Manufacturer:ELO Touchsystems. Manufacturer: ELO. The glass panel is in good condition. Glass screen. Lab & Test. Model:Does Not Apply. We believe the communication is the best way to solve any problem. 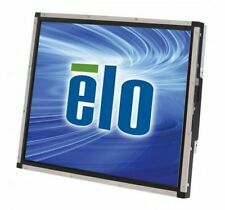 Touch screen for ELO Touch 1746L POS. Manufacturer :Elo Touch Systems. Vertical refresh frequency75 Hz. Horizontal refresh rate80 kHz. TypeTouch screen - touch screen. Display typeLCD display / matrix active TFT. Model: LE017002P03NB. Manufacturer: Elo TouchSystems. Part Number: N/A. About: We are NES Sales, Northeast's industrial source.